Many ranches or homes in the Idaho Backcountry are not accessible by roads. The only way for them to get supplies or building material deliveries is by air freight. Not all these materials can be flown in by airplanes. 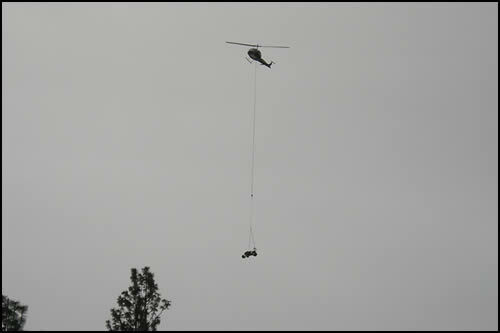 By use of helicopters the possibilities of delivery into the backcountry are endless. We have flown in mattresses, small pickups, tractors, bob cats, stoves, log cabin packages, windows, doors, and even a horse drawn wagon. If you can think it up, we can deliver it! 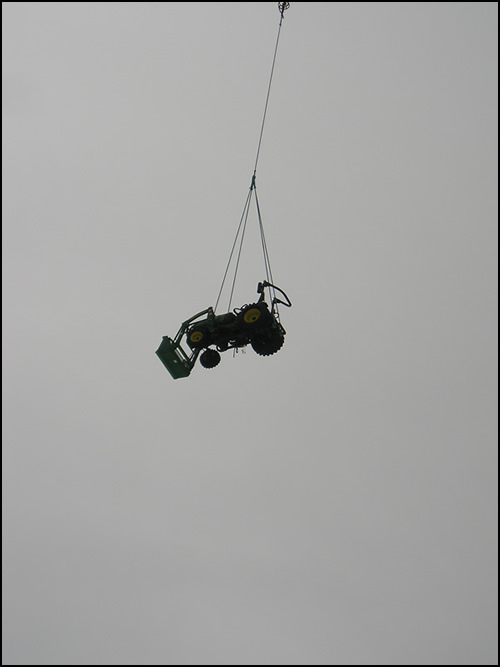 We have rigging specialists that have been doing this for years, and are very efficient along with our experienced pilots. Air freight is one of our specialties. We have custom designed racks specially made to get the job done. Our helibase in the Salmon River Canyon make our prices as affordable as possible. We will try to work with you to transport freight from the most convenient place possible. 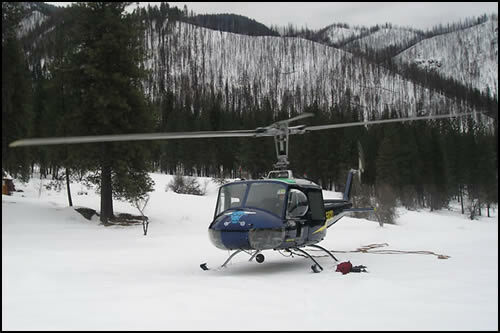 Managed by TechMonster | Salmon River Helicopters - P.O. Box 1293, 1497 Big Salmon Rd., Riggins, ID 83549, 208-628-3133, 208-628-3038 Fax. Email us.